From a very young age, I have taught myself not to subscribe to social acceptance and conformance. In other words, I hate following the crowd just because they seek to please a few they perceive as “leaders”. I am sure most of you in your lifetime have experienced this sort of situations. It happens mostly in schools. Ever found yourself trying to please that popular kid or the popular group of kids just to fit in so you feel that little sense of belonging? The situation can be liken to a pile of dung surrounded by flies. Oh, how much I hated that! This is one of the causes of bullying in schools then and now. And what has changed for me since then? Nothing – the bullying is in a grander scale. 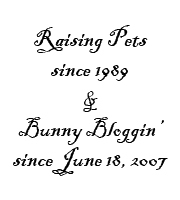 Almost 8 years ago, I started off this weblog to share information and my experiences in raising pet rabbits. My motivation is to help fellow hobbyists keep their rabbits alive lest they stricken with sorrow when losing their beloved pets to illnesses that can well be avoided with such knowledge. As time went by, the hobby evolved into show rabbit breeding and while I am able to make sense of all the technicalities involved, I remained skeptical as far as the psychology behind this side of the hobby. I was intrigued nonetheless and kept an open mind. Now that I can finally articulate my thoughts, it turned out to be the grandest social “thing” for those in the know and circle. Imagine the “drama” that comes with social networking, this can be a thousand fold worse if one does not thread on it carefully. And please allow me to tell you why. It is still within the concept of pleasing a few popular “kids” and the need for affirmation and acceptance. A sense of belonging and fit in. And along the process, people are victimized and ridiculed by the popular kids. Bullying for me is really a sign of weakness (obviously). Bullies are only strong when they operate in groups. Mainly because humans are not made to hurt others. In order to hurt another, they need draw more courage and strength. If you take on a bully alone, you will find that he/she can be very withdrawn. Therefore, it is safe to say that bullies almost always operate in groups because they are just that weak. On the contrary, when a group of talented people coming together to contribute their strengths for the greater good of the community, their actions will show us the true capability of teamwork and the collective strength amplifies the positive effort. So how does all that I have mentioned jive together in a larger picture? I have come to the conclusion that I enjoy most part of the hobby except for the human factors. At one point I was totally and enthusiastically immersed in this entire “show rabbit” craze. While it was happening, I faced a lot of contradiction that stirred a lot of discomfort within my conscience. 1) A standard strive to promote and unsure uniformity. How can people force another living thing or organism to conform to physical uniformity? 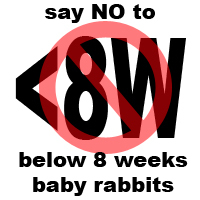 2) Why should I be motivated to produce hundreds of rabbits that look exactly the same as required by a group of people responsible for laying down the standards and judging them? 3) Glory obtained at the expense of rabbits is no glory at all. I understand the effort and resources that it takes to be a top breeder. One should be proud of his/her accomplishments but a breeder who only seeks selfish glory, fame, and power through his/her rabbits irks me! 4) Unclear intention. Some do it for the passion while others do it for the money. Proclaiming that one breeds rabbits for the betterment of the breed can often be seen as “wolf in sheep’s clothing” these days because talk is cheap! No one can ever justify their real or “unreal” intentions. By now, I believe most of you are totally lost as to what I am blabbering about. How is it possible that raising rabbits can be so complicated right? That is exactly the point I am trying to put forth. All these “smokescreens” seemed to take our focus away from what matters most – our beloved pets. The psychology behind many hobbies regardless of its nature, seemed to draw like minded people together. As the number of people getting involved increases, the dynamics start to shift and so does our focus. We are drowned by so many noises be it gossips, backstabbing, lies, or any other negativity. 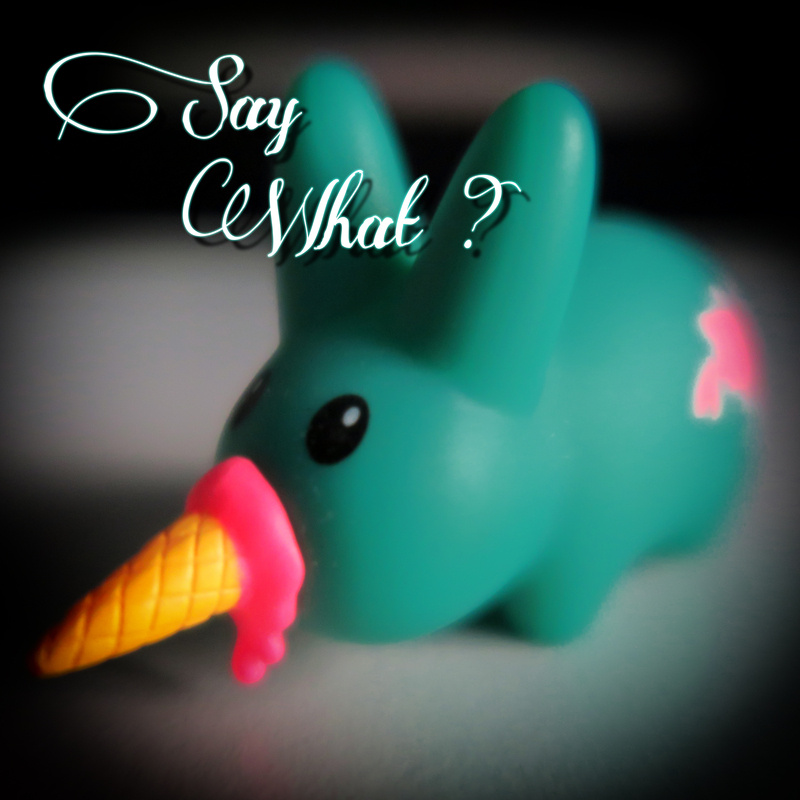 Read this word -> Rabbit. And the rest are just holding a rabbit for a glass of champagne at the cocktail reception before the Grandest Social Event!